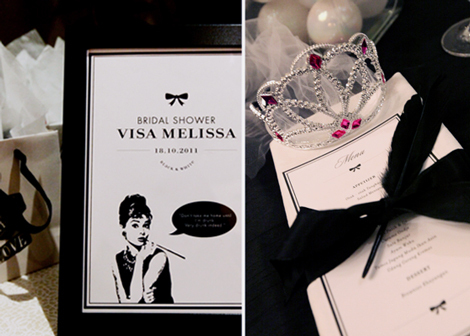 We are very pleasure to be trusted to plan the bridal shower of Visa Melissa. 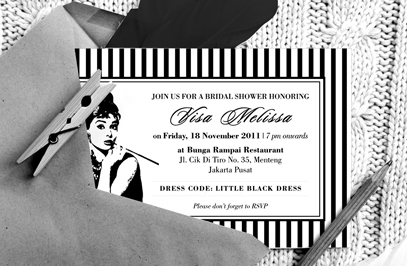 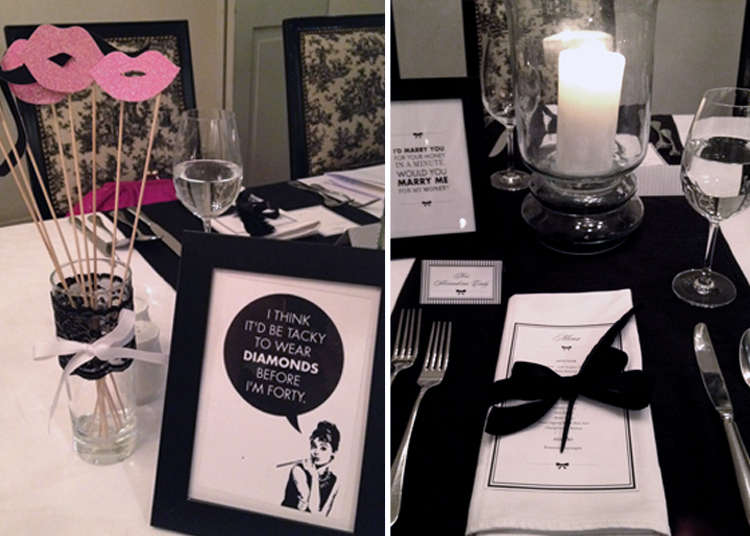 We proposed the continuous concept of the wedding theme which is, Blue Tiffany’s, with the Breakfast at the Tiffany’s inspired black & white bridal shower. 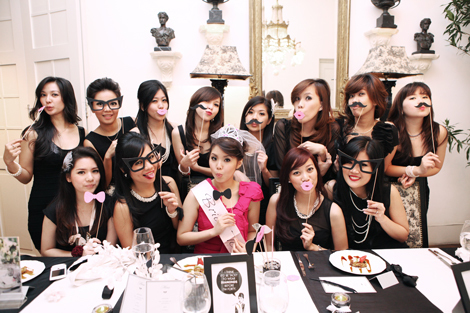 We were glad that the bride-to-be love the ideas by setting-up the elegance fine dinner at Bunga Rampai Restaurant, Jakarta. 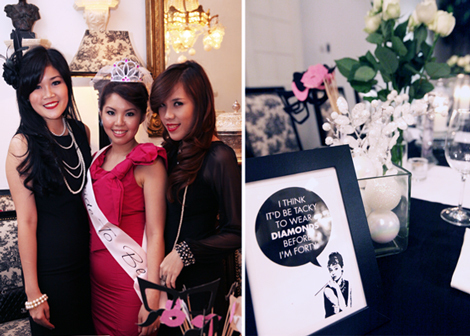 All guests were dressed in LBD (Little Black Dress) and pearls, of course. 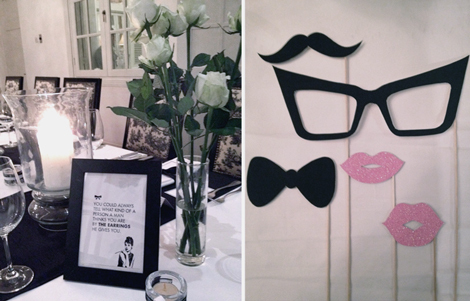 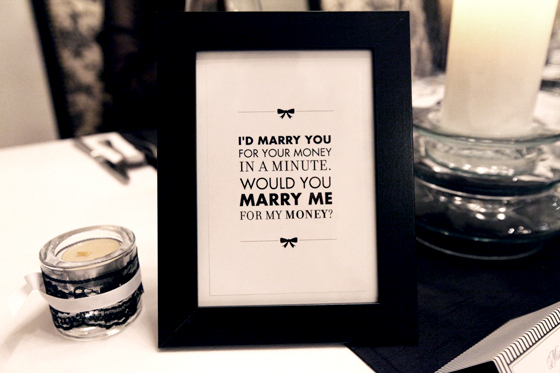 The restaurant itself has the simply elegance ambience that made us easier to decorate, with the centerpieces of quotes from Holly Golightly in the movie Breakfast at the Tiffany’s framed in black, candles and white roses. 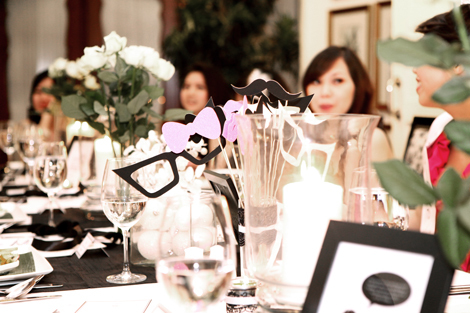 And the most exciting thing is the photo props that we’d made from glittery papers.